A History of the Awatovi Massacre, James F. Brooks, W.W. Norton. “Mesa of Sorrows” tells the story of a dawn attack on Fortress Awat’ovi—located atop Antelope Mesa, above the Jeddito Valley in northeastern Arizona—which was home to hundreds of Hopi Indians at the time of the incident in 1700. Most notable about the raid is that it was not conducted by traditional enemies like the nomadic Utes or Navajos, but by a combined force of Hopis from neighboring villages. Know too that the attackers encountered little resistance, gaining entrance through an unguarded gate. At least one account contends that the invaders were aided by the leader of the Awat’ovi village, Ta’polo, who might have swung the gate wide open as the intruders made their entrance. The same source contends that Ta’polo believed his people had all become powáko (sorcerers) and needed to be destroyed. Well, destroyed they were. The men—young and old—were killed, while some of the women and children survived, only to be married or adopted into their attackers’ villages. 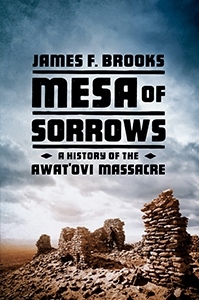 In the midst of covering all the relevant historical details in chapter one, author James F. Brooks—a professor of history and anthropology at the University of California, Santa Barbara—asks the question: “What provoked such gruesome internecine violence?” If I’m reading the narrative correctly, the direct cause is that the attackers believed that the Awat’ovi village had become morally and spiritually corrupt. As Brooks puts it, “the sense of koyaanisqatsi (chaos, or moral corruption) at Awat’ovi offer[ed] only one solution: regeneration of an ideal social order through obliterating violence,” which, it was believed, would return the people to suyanisqatsi (a life of harmony and balance). To be sure, Awat’ovi is not the only time that the Hopis have engaged in violent cleansings; there are other similar tales across the centuries. In fact, “major archaeological salvage projects associated with modern coal-fired energy and southwestern utilities development in the twentieth century brought startling new evidence to light that the past millennium in the region featured moments of widespread and terrifying warfare, in which whole communities vanished in conflagrations of brutality and fire,” writes Brooks. So it’s perhaps a bit ironic that “Hopi” is synonymous with peace in American popular culture. It’s also worth noting that Awat’ovi Massacre and others like it have been characterized by perimortem violence. The infliction of wounds after the time of death may be especially telling, as the tendency to linger and desecrate remains “indicates an effort, like those in known witchcraft cases, to permanently incapacitate even the spirits of the dead,” offers Brooks. One other reason for this “internal” violence is that “the people of the Hopi villages did not consider themselves as belonging to the same tribe…. 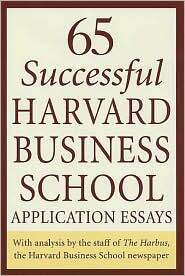 Their village was their nationality, you might say,” notes the author. As a result, neighbors harbored longstanding grievances against one another, thereby weakening the Hopis as a whole. Meanwhile, migrants were welcomed into individual Hopi communities to enhance their strength, yet the integration of socially distinct immigrant groups only added to the potential for friction between villages. Ultimately, “Mesa of Sorrows” delves deep into explanations for the activities and attitudes that may have provoked the violence, while also taking a detour to address the challenges of excavating Hopi ruins—at Awat’ovi and elsewhere. Not surprisingly, there has been a certain amount of dissatisfaction among Hopis regarding which ruins have been excavated (or not excavated), not to mention dismay that a considerable amount of material now resides at the Peabody Museum in Boston. These intricacies are best left for the interested reader to explore in the book, though it is worth asking here what we gain by re-examining this incident in 2016.